I’m dreaming about books again, cookbooks that is! from the reviews I want to cook it all! 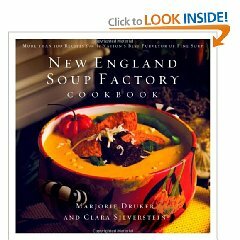 Marjorie Druker is passionate about soups. She fell in love with soups when she first heard the story Stone Soup. After attending Johnston & Whales, Marjorie created the menu for the popular Boston Market restaurant chain, and soups were always her favorite. “My niche is taking what people like to eat and turning it into a soup,” she says. Over time, twin enterprises Cook’s Illustrated magazine and America’s Test Kitchen have published many books dedicated to providing exhaustively tested recipes–“best” versions of traditional dishes plus definitive takes on kitchen equipment and ingredients. Some series readers have complained of endlessly recycled or rejiggered recipes; others take each book at face value, finding the formulas and cooking insights good and helpful. 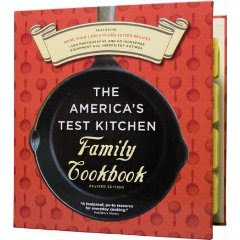 America’s Test Kitchen Family Cookbook, which calls itself a cookbook, cooking school, and kitchen reference in one, offers over 1,200 approachable recipes for a very wide range of dishes–from “weekday” fare like Creamy Rice Casserole, Cheesy Nachos with Spicy Beef, and Skillet Lasagna, to dressier recipes, including Pan-Seared Lamb Chops with Red Wine Rosemary Sauce, Roasted Trout Stuffed with Bacon and Spinach, and Chocolate Marshmallow Mousse. 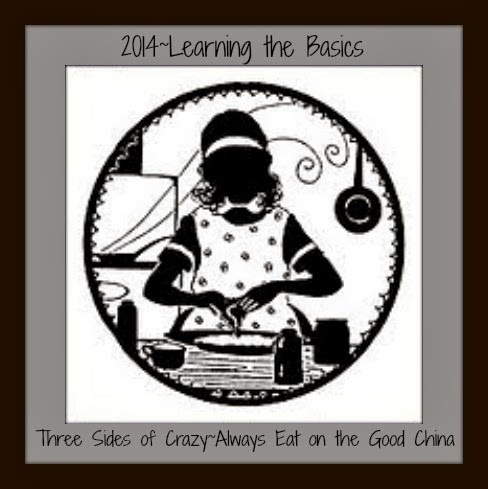 There are “specialty” chapters devoted to sandwiches, drinks, and slow cooker and pressure cooker dishes; a grilling section is a tutorial in itself. Laura of I’m an Organizing Junkie ran a post last week about Releasing the Cook Books that met with a bit of adversity, quite a bit actually. I’ve thought about this all week and read the comments pro and con and then finally decided to put my 2 cents in. My brother gives me a specialty cookbook ever year for my birthday and Christmas. I also have the all the generational family hand me downs as well as my impulse buys from bookstores and all the cookbooklets from the different manufacturers over the years that I have collected from antique stores, etc… you get the picture, I have a ton of cook books. Anyway, the first thing I do when I get a new cookbook is sit down, read it from cover to cover and use one of those little 3M tabs to mark the ones I want to try and/or modify (I have a color code system that also includes the category “MUST TRY YESTERDAY” because it is so alluring). Once I have tried and or modified a recipe and decided if it is a keeper or not I then either post it to my blog or into my computer cookbook. I then ‘recycle’ the cookbook through a pay it forward or VFW rummage sale. I do have those pretty ones that are wonderful references that will never leave my bookshelf, which is vast, but you CAN’T keep them all and why would you want to if you don’t use them?? So, after that long wind, I agree with you Laura! I’m extremely organized and one of the best ways of accomplishing that is to simplify! I am saying it with you, Laura RELEASE THE COOKBOOKS! 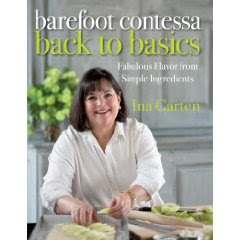 Let’s face it, there is no one cookbook for anyone. If you’re like me, you have at least 6 or maybe 60, oh let’s be honest I quit counting a long time ago. I can’t resist browsing through the old books at antique stores. I especially love old church or organization cook books. Some of my favorite recipes originally came from one of those. Many of the pages are dogeared and lots of notes are written in the margins, mostly by me, but the used books sometimes have 2 or 3 people’s writings. Now the other thing we all do is MODIFY those recipes to our family and their personal preferences. Did you know that all you have to do is make 2 major changes and you can call the recipe your own? or so I’m told.